Mama June of Here Comes Honey Boo Boo and From Not to Hot fame (“fame” is not an accurate descriptor, but the mot juste eludes me) has reportedly been arrested for felony possession of a controlled substance and drug paraphernalia after a domestic dispute at an Alabama gas station. Mama June was at the gas station with boyfriend Geno Doak, a guy who absolutely sounds like someone who should be near minors. Someone called to report a dispute between the two, and according to the arrest report, when cops patted Doak down, he told them to avoid his pockets because “I don’t want you to get sticked or nothing.” Cops allegedly found a needle on his person, another in the truck June said belonged to her, a green pill bottle full of a “controlled white substance,” and a pipe with white residue in the pocket of June’s jogging suit. This...sounds like something my very Southern mother should be telling me over the phone right now about people in my 1,000-person hometown she insists I know but I definitely don’t. In a recorded conversation with a tow truck driver after her release, June sounds completely unable to focus and insists that police found nothing in the car. 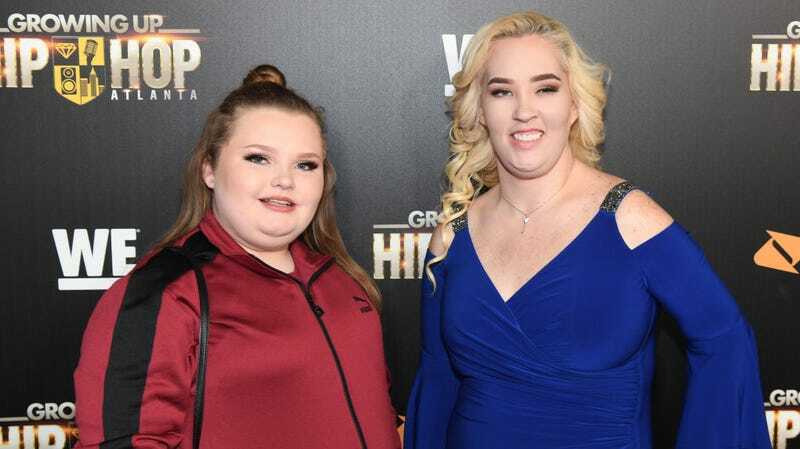 I’ll admit I am only marginally aware of who these people are, but I remember her kids being very funny and sweet in the two episodes of Honey Boo Boo that I watched. Here’s hoping they’ve got someone trustworthy to talk to. In other “People Who Have Gotten Second Chances” news, James Gunn is employed once more. Back in August, Gunn was fired from directing the third installment of the incredibly successful Guardians of the Galaxy franchise after conservative conspiracy theorists drew attention to some of Gunn’s truly horrible tweets that I’m still struggling to understand the purpose of.